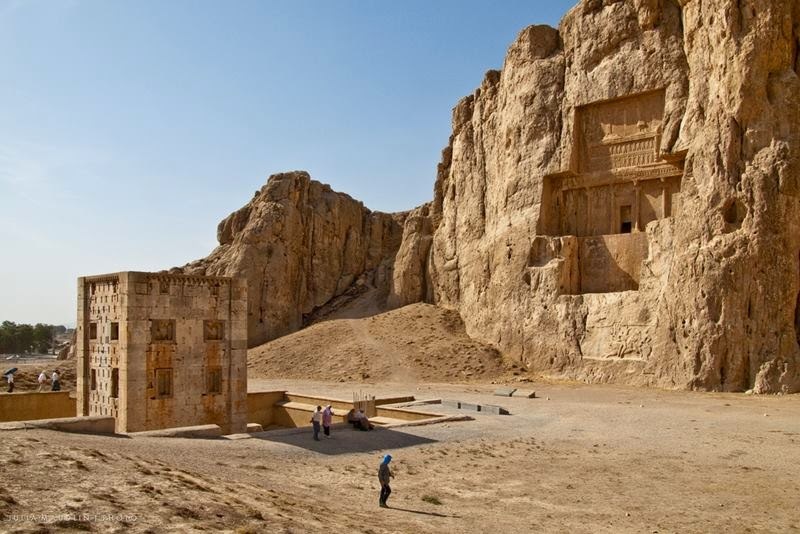 Naqsh-e Rostam or The Throne of Rustam is an ancient burial site for Persian Kings located 12 km northwest of Persepolis in Fars Province, Iran. 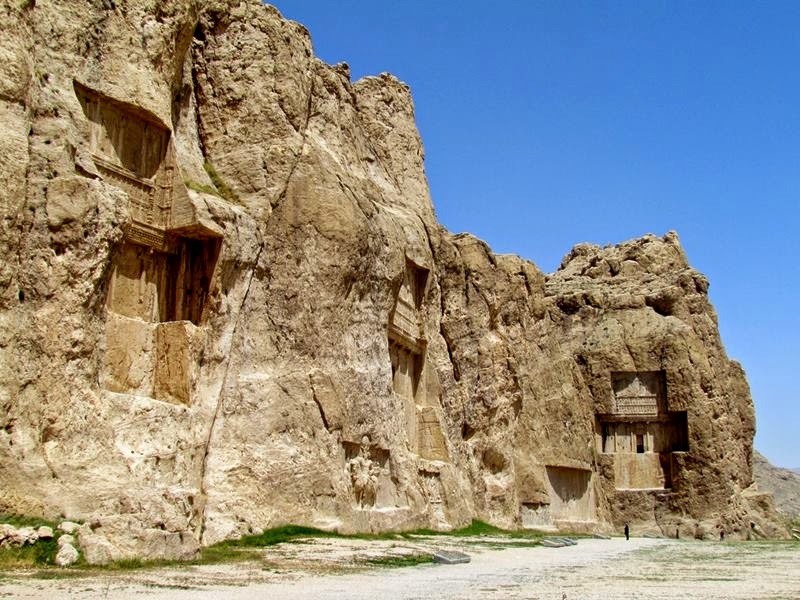 There are four tombs carved in the cliffs in cross shapes, all lying about 10-20 meters above the ground. 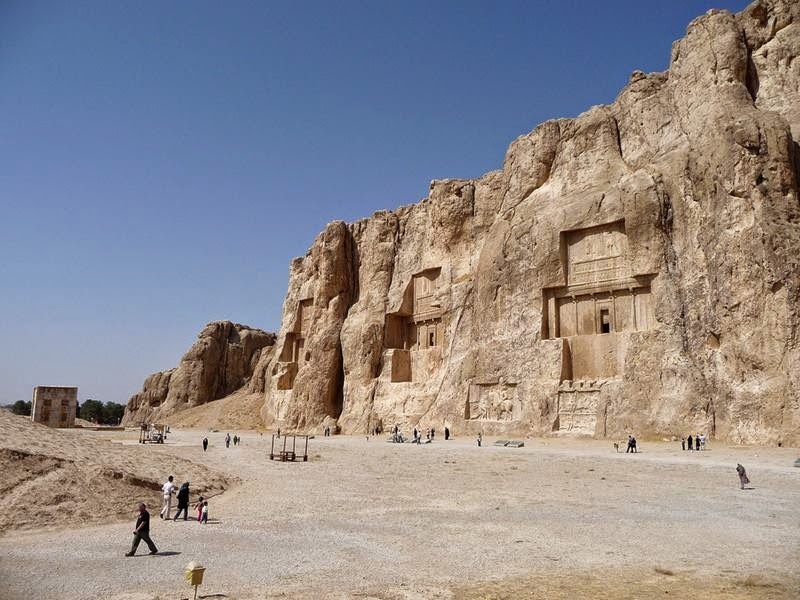 The tombs are said to be those of Darius II, Artaxerxes I, Darius I and Xerxes I. 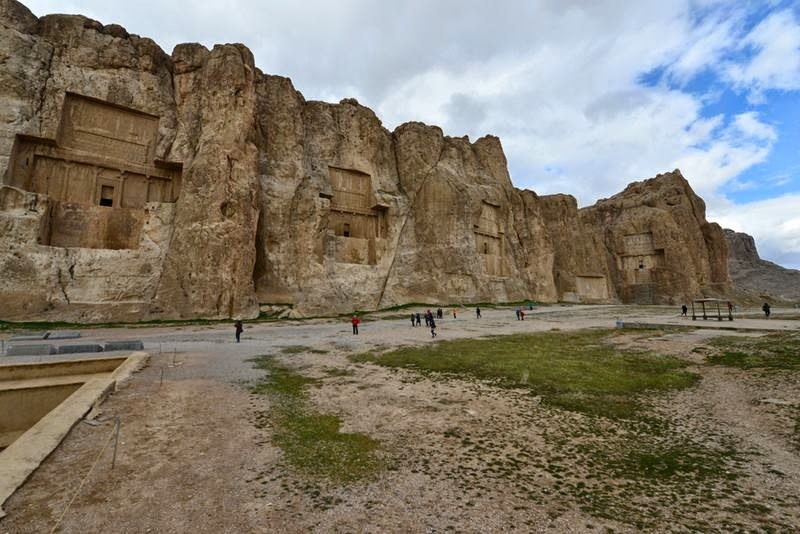 At the Naqsh-e Rostam site there are also some bas-reliefs carved in the rock representing war scenes and royal events. 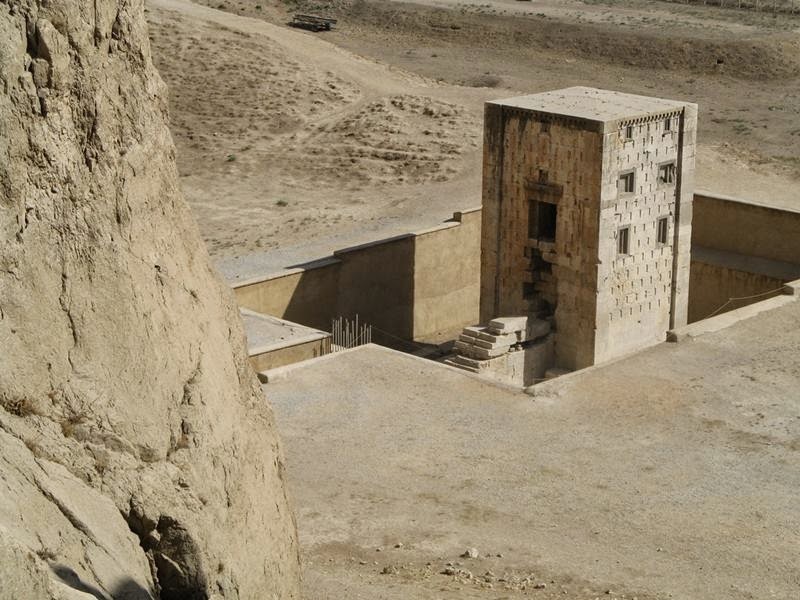 The Kaba-ye Zartosht tower is a cubical structure thought to be either a royal tomb, a calendar or a treasury. 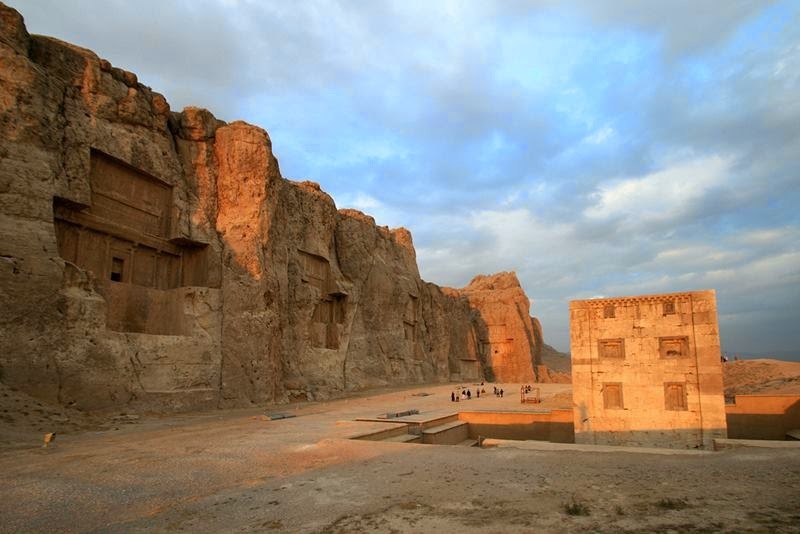 The oldest relief at Naqsh-e Rustam dates to c. 1000 BC. Though it is severely damaged, it depicts a faint image of a man with unusual head-gear and is thought to be Elamite in origin. 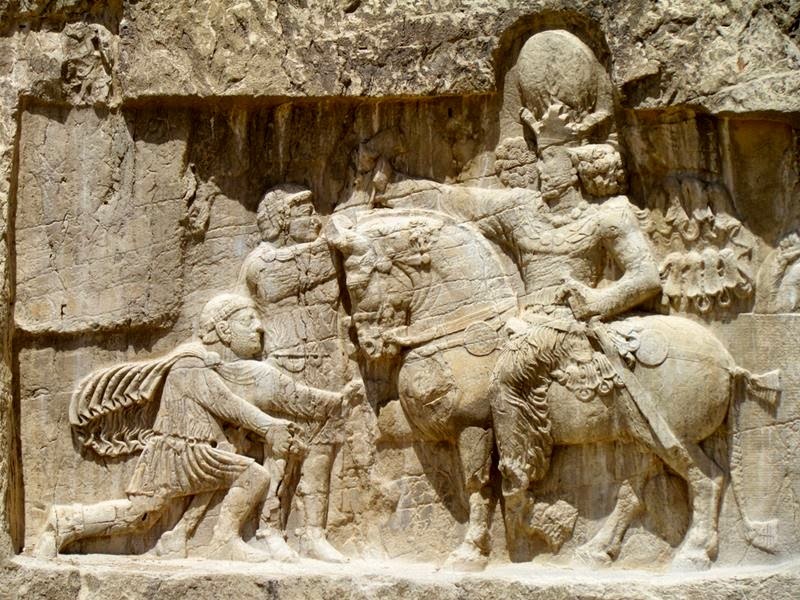 The depiction is part of a larger mural, most of which was removed at the command of Bahram II. 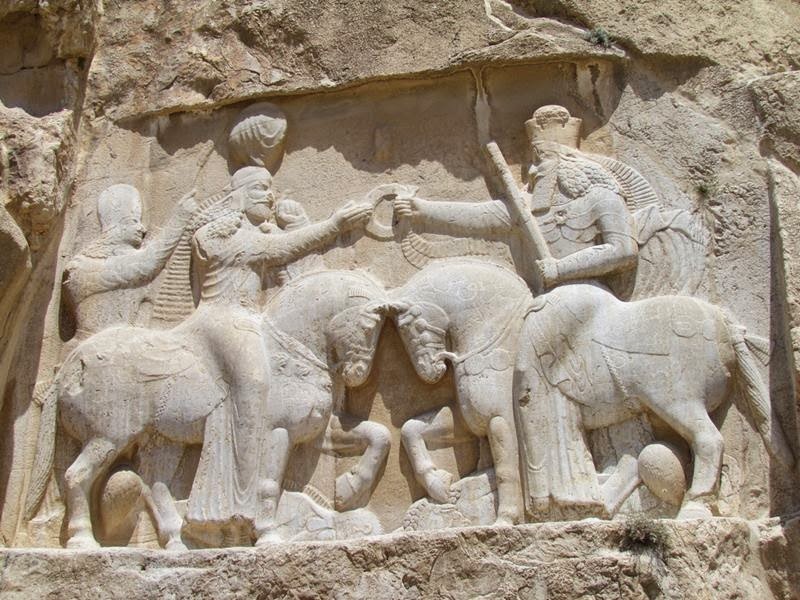 The man with the unusual cap gives the site its name, Naqsh-e Rostam, "Rostam Inscription", because the relief was locally believed to be a depiction of the mythical hero Rostam. 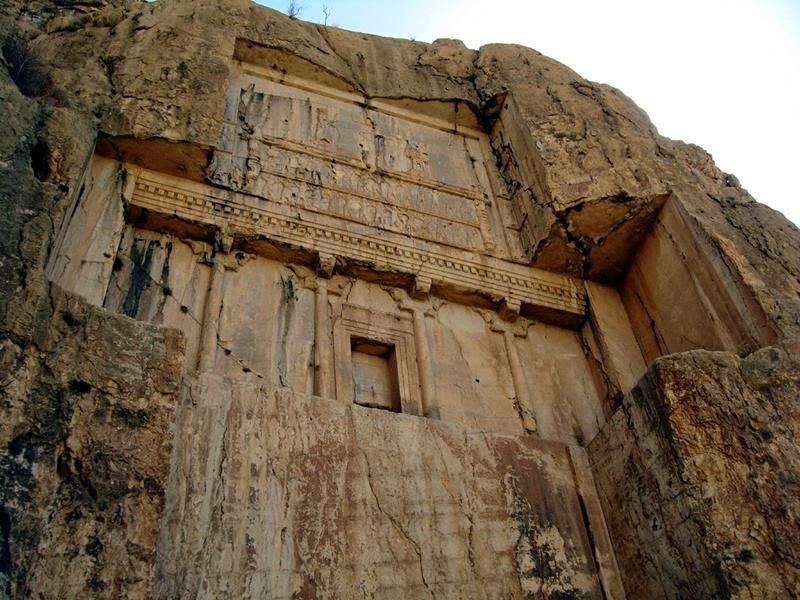 Kab'eh-ye Zardusht, or the "Cube of Zoroaster", is a mysterious structure below the rock-cut tombs in the cliff face. Although steps lead up to a hollow chamber, the "windows" are solid rock. 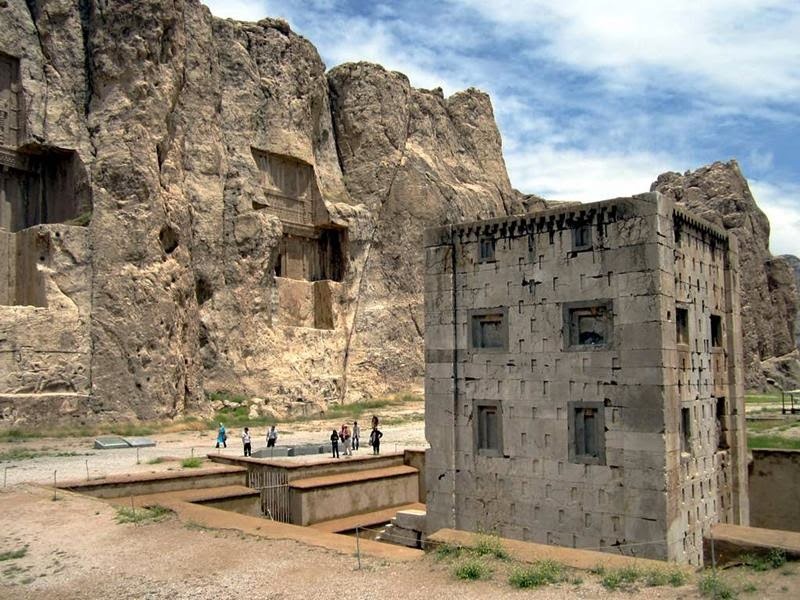 It is known as the cube of Zoroaster because it may have been a Zoroastrian fire temple. It may also have been a tomb: but if it was a tomb why isn't it like the others at the site. In 1923, the German archaeologist Ernst Herzfeld made casts of the inscriptions on the tomb of Darius I. Since 1946, these casts have been held in the archives of the Freer Gallery of Art and the Arthur M. Sackler Gallery, Smithsonian Institution, in Washington, DC. 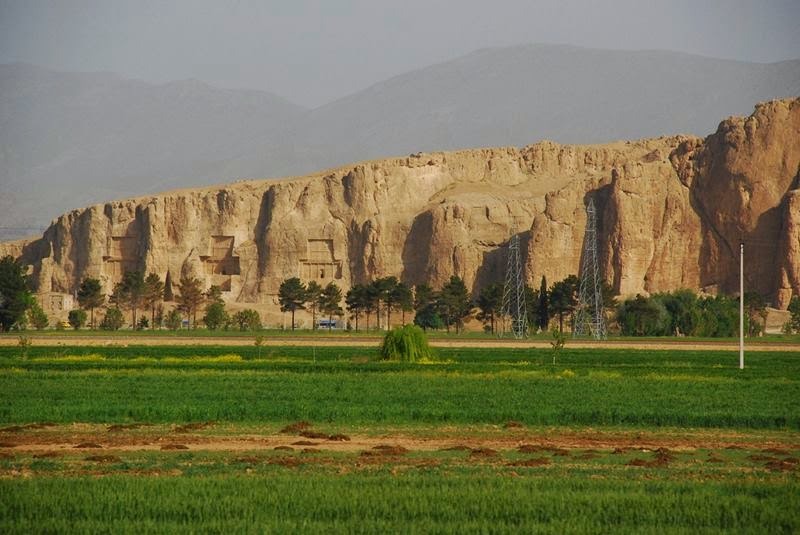 Naqsh-e Rustam was excavated for several seasons between 1936 and 1939 by a team from the Oriental Institute of the University of Chicago, led by Erich Schmidt.